For most visitors to Australia, seeing our beautiful wildlife is high on the list of things to do while they’re here. Some people think this wildlife must be everywhere (I recall one of my family members in France asking me if I had kangaroos in my Melbourne backyard). Sadly no. And chances are that if they restrict their visit to our cities visitors may never see our wildlife without going to a zoo or a wildlife sanctuary. One place where you can be guaranteed to see our wildlife though is Kangaroo Island in South Australia. We recently spent four relaxing days there and we saw an amazing amount of wildlife; even more than at Cradle Mountain in Tasmania. We decided to stay at the Western KI Caravan Park after recommendation from my friends. If you are not into camping (like me!) they have nice, well equipped and clean cabins. I am so glad we did as this caravan park was pretty amazing. 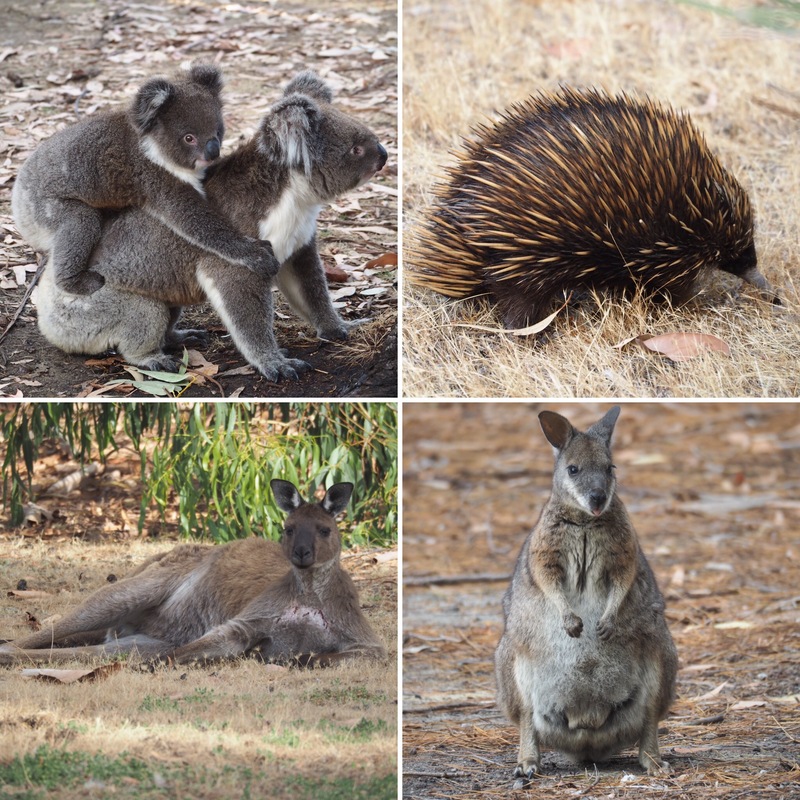 The wildlife was everywhere from koalas to kangaroos, wallabies, geese, parrots, possums and Echidnas. They were all so friendly too. It is definitely a great place to see wildlife. Staying at the park itself was one of the highlights of the trip. Of course there is much more to do on the island than staying at the caravan park looking at the wildlife. Flinders Chase National Park was a great day out. We started with the Platypus walk. Four and a half kilometres walk around swamps and small waterholes where you apparently (if you are lucky) can see the platypus. Sadly we didn’t see any there but we enjoyed the walk none the less. The best place in Flinders Chase National Park for spotting wildlife is the Admiral Arch walk. 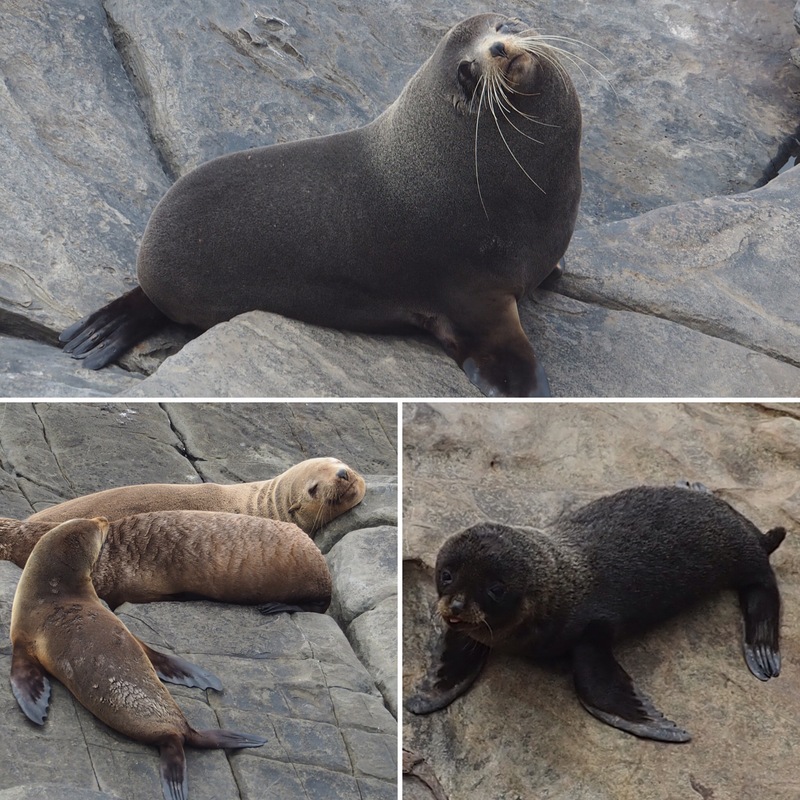 We saw so many fur seals standing on the outer rocks, sunbathing, looking after their young or frolicking around. We could have spent all day watching them in action. 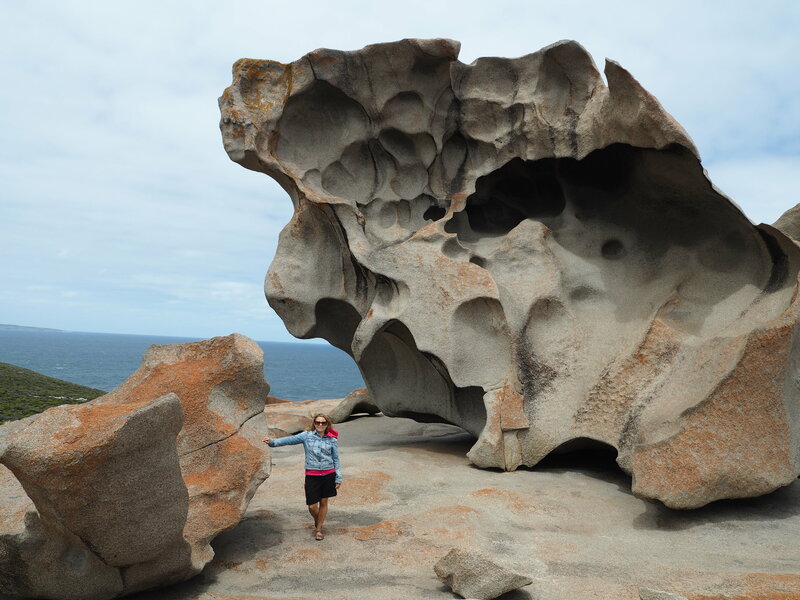 The Remarkable Rocks are another not to be missed attraction in that national park. Although we didn’t see wildlife there, the Remarkable Rocks are the most photogenic rocks I have even seen. Try to go there early morning or towards the end of the day as it is one of the most touristy place on the island and once the tourist buses arrive it gets crowded. 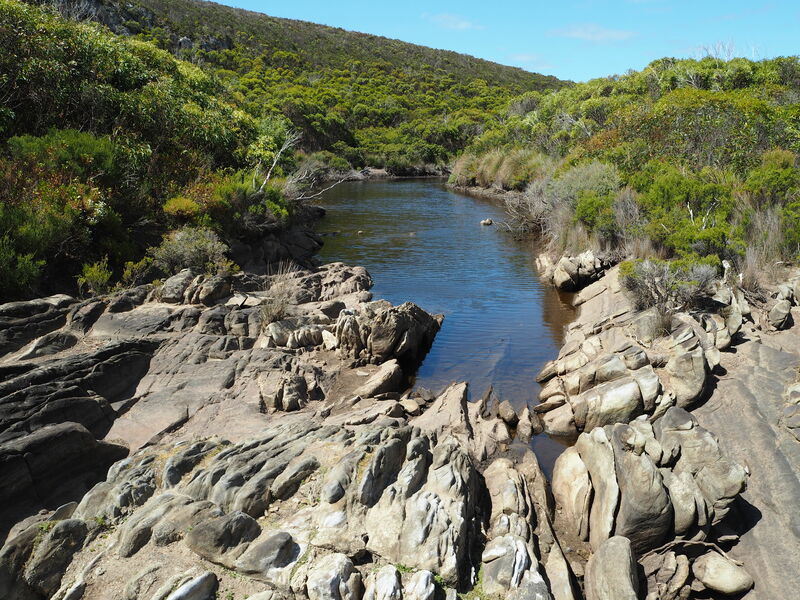 If you do one hike in the Flinders Chase national park, the Snake Lagoon walk is the one to do. A four kilometre hike, it takes you from a forested area, past a rocky river (although it was nearly dry when we found it) to a gorgeous deserted beach. 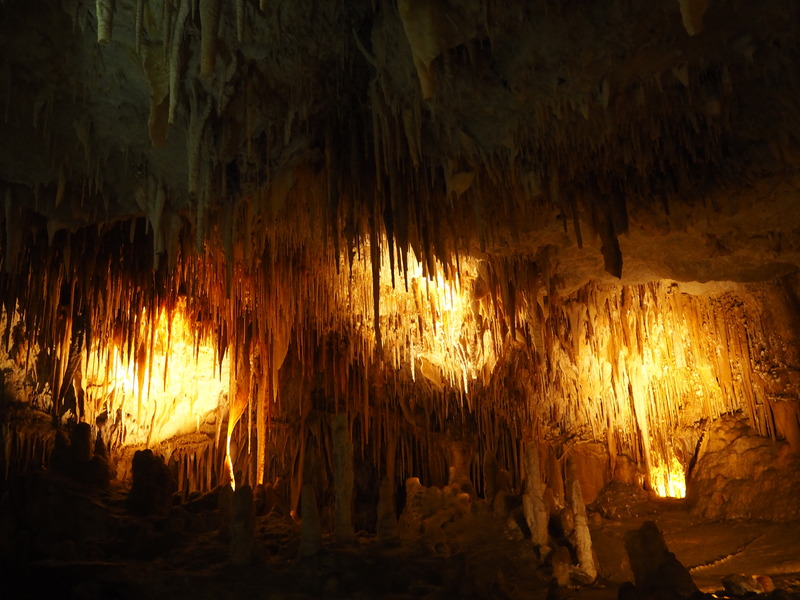 Close to Flinders Chase national park you will find the Kelly Hill caves. I definitely recommend visiting these caves. The hour long guided tour takes you down into these amazing caves which have beautiful stalactites and stalagmites. These are the nicest caves I have been to so far. They are also refreshingly cool on a hot day! 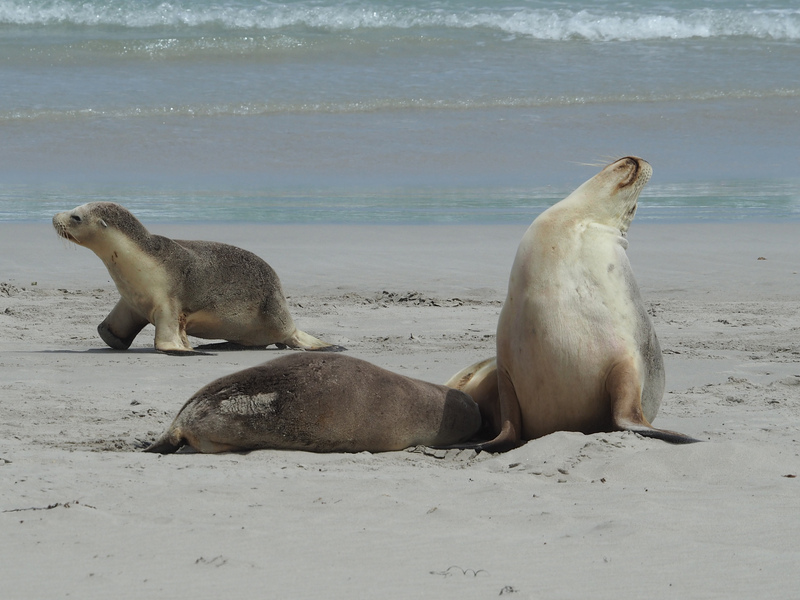 If you can’t get enough of seals, you have to go to the Seal Bay Conservation Park and do a guided walk on the beach. You will get to see many sea lions who come up onto the beach to sleep and to feed their young after a few days at sea without sleeping. They are hilarious to watch and you get to see them a lot closer than at the Admiral Arch. The walk doesn’t last long enough sadly but you can go on the boardwalk afterwards to get a longer look at them if you haven’t had your fill. They are pretty entertaining! 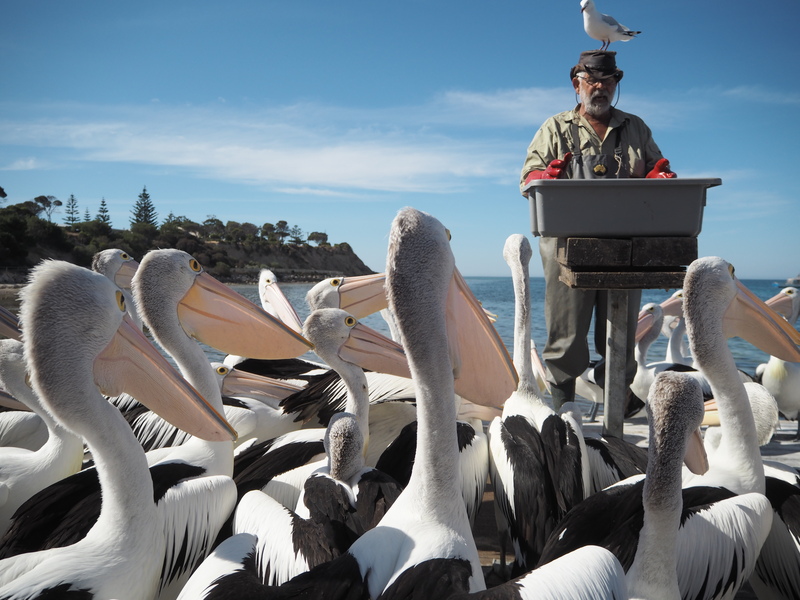 On the other side of the island in Kingscote, the main town on Kangaroo Island, the daily Pelican feeding show is a must see. John “the Pelican man” has been coming to feed the pelicans every day at 5pm for around sixteen years. The birds know when it is approaching feeding time and they begin to gather around the feeding platform, waiting impatiently for John to arrive. The show is fantastic, with some amazing photo opportunities together with John’s humorous but informative introduction to these beautiful birds. I am glad we did not miss it. Of course there is much more to do on the island. 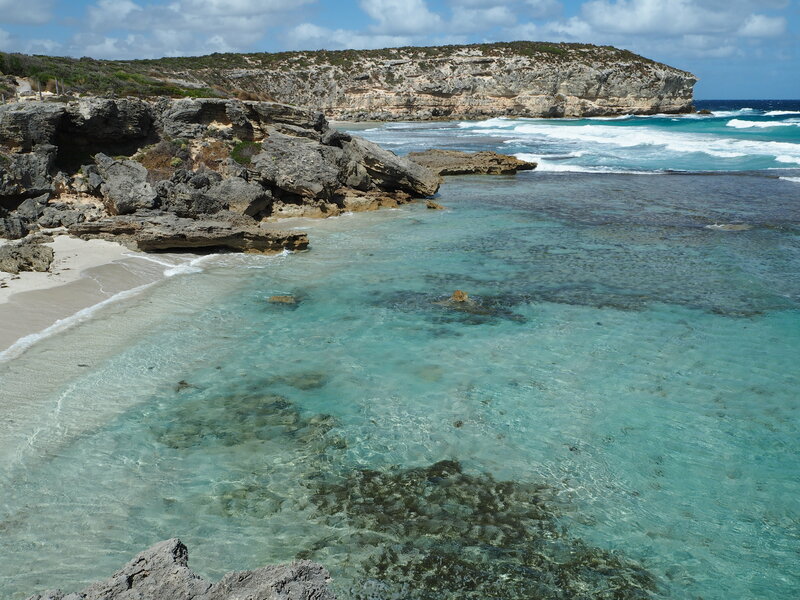 Its beaches are wild, unspoilt and beautiful, and the scenery is breathtaking. There are a few lovely wineries where you can go sip gorgeous wines and enjoy the views. In particular the Dudley Cellar Door near Penneshaw is stunning. If you go in the summer do not miss having lunch at the Enchanted Fig Tree near Snelling beach. 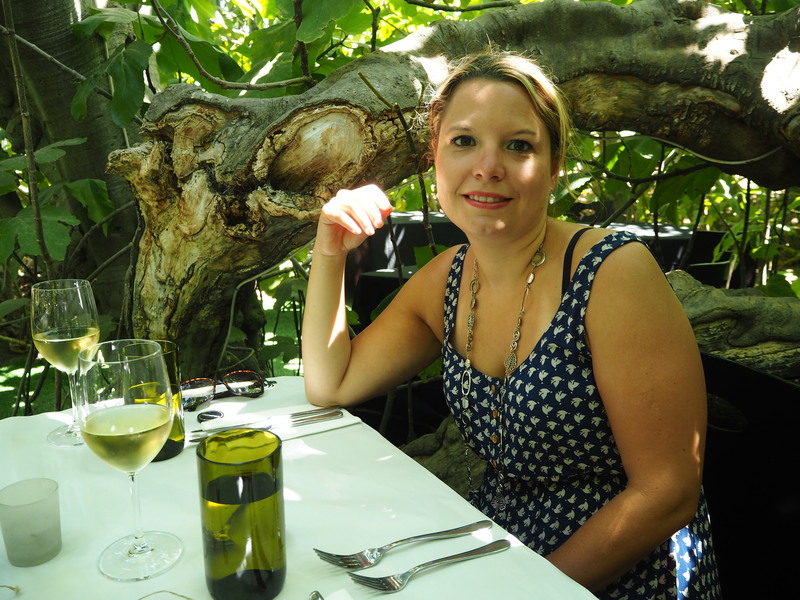 You have lunch under the canopy of a very old fig tree. Not only is the food amazing but the decor is not like any restaurant you will have been in before and the service is excellent. It’s expensive but a great experience. So even though Kangaroo Island is not as popular as the likes of Sydney, Ayers Rock, the Barrier reef, I reckon it should be on any travellers bucket list. And the Western KI caravan park should be the place to stay. If anyone had told me a month ago that I would be raving about a caravan park, I wouldn’t have believed them! But that’s what travelling does to you I guess. It changes you, your views, your beliefs and that’s why I love it.